Time to say goodbye (at least for the time being) to sub-4% on the 30-year fixed-rate mortgage. Most quotes these days vibrate between 4.125% and 4.25%, with 4.25% coming up as often as not. We shouldn’t be surprised. The yield on the 10-year U.S. Treasury note hovers around 2.5%. It hasn’t been this high since September 2014. The 30-year fixed-rate loan is also at a two-year high. The 30-year loan takes its cue from the 10-year note. A detractor could riposte that we shouldn’t say goodbye quite yet. Interest rates rose into the Federal Reserve’s December 2015 interest-rate increase. By mid-2016, though, interest rates and mortgage rates were again down to a multi-decade low. True enough, but 2016 isn’t 2015. In 2015, yields on much of Europe’s and Japan’s sovereign debt were scraping along at zero, and even below zero. Today, yields on most of this debt (focusing on 10-year debt) is firmly positive. As the United States has moved away from quantitative easing and accommodating monetary policy, so, too, have many Western European and Asian countries. The prospect of the European Union and Japan raising interest rates isn’t so far-fetched anymore. And unlike last year, we’ll have a new president as we begin the new year. How Donald Trump will attempt to stimulate growth is still open to speculation. Infrastructure spending has made headlines, but other fiscal palliatives could be forthcoming. Fiscal stimulus, in turn, could stimulate banks to ramp up lending. Banks still sit on nearly $2 trillion in excess reserves. This is money that they could begin to lend. If that occurs, you can be sure that inflation will take flight. When investors worry about rising interest rates, bonds and other fixed-income investments pay the price. Investors sell bonds and other fixed-income investments because they expect a higher coupon interest rate to materialize: prices fall and yields rise. Buyers, concurrently, seek to pay a lower price for a similar reason. They will buy only at a discount so that they can capture the income from the higher interest rates most investors expect. In short, we don’t expect an interest-rate reversal like we saw in 2016. We’ll head into 2017 with rates on the 30-year loan above 4%, which really isn’t all that unusual in recent history. We hit 4% on the 30-year loan in July 2015. From the summer of 2013 through the summer of 2014, the 30-year loan was quoted above 4%. Home sales – new and existing — were a little volatile during that time, but the trend held steady over the course of a year. And let’s not forget that home prices continued to trend higher. Yes, rising interest rates are a bit unsettling, but this is still a very healthy housing market. If we thought otherwise, we wouldn’t hesitate to say so. Existing Home Sales(November) Wed., Dec 21,10:00 am, ET 5.61 Million (Annualized) Important. Despite the spike in mortgage rates, purchase applications still suggest that sales will hold steady. Gross Domestic Product(3rd Quarter) Thurs., Dec. 22,8:30 am, ET 3.3% (Annualized Growth) Important. Revised GDP numbers support stronger future economic growth. 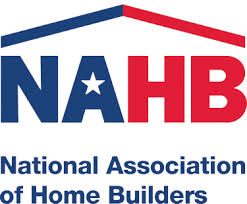 New Home Sales(November) Fri., Dec. 23,10:00 am, ET 560,000 (Annualized) Important. Permits point to sales maintaining an upward, if somewhat volatile, trajectory. Last week, we commented on Black Knight’s influential Mortgage Monitor report, and so did a lot of other people. Housingwire.com also weighed in on the Mortgage Monitor, and its take was similar, though not identical, to ours. We both agree that mortgage-credit availability is on the rise (though Housingwire neglected to mention the connection between higher interest rates and credit availability); that housing sales continue to rise; that housing is as healthy as it has been since the financial crisis (as measured by a decline in foreclosures and delinquent mortgages). Housingwire.com’s Mortgage Monitor commentary also broached a subject we neglected: rising interest rates and housing supply. Housingwire quotes an economist at First American who’s concerned that rising mortgage rates reduce the incentive to move, thus restricting the supply of homes for first-time buyers. A slowdown in price appreciation is the corollary to rising interest rates. Because interest rates are a discounting mechanism, present value equals future value discounted by an interest rate, price appreciation should slow. Slower price appreciation, in turn, should motivate more people to put their homes on the market. After all, the expected payoff of holding a home in anticipation of additional price appreciation is diminished. Why not sell an asset whose strongest price appreciation has already occurred? Of course, this is conjecture on our part (as it is with the First American economist), but the financial theory behind our conjecture is sound enough. We would not be surprised to see rising mortgage rates bring more supply, not less, to market. That would be a good thing.